The area and topics of discussion on this subject could be quite wide. 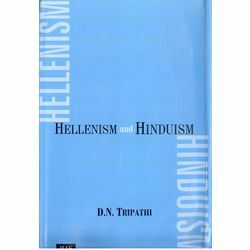 Since many scholars, both in India and outside, have discussed some of the topics at length, the author has selected some basic concepts from the two cultures for discussion in this monograph. The nature, origin, and evolution of languages, the concept of man and the idea of humanism, the concept of cosmology and cosmogony, the nature of justice, social justice, and the meaning and nature of ethics would be his main concern, as these elements form the very core of any culture and civilization.